A Hindu temple is a place of worship for followers of Hinduism. It can be a separate structure or a part of a building. A feature of most temples is the presence of murtis of the Hindu deity to whom the temple is dedicated. However, some temples are dedicated to several deities, and some have symbols instead of a murti. The earliest Hindu temples are dated to right after the Vedic period, which is roughly from 1500 to 500 BCE. Hindu temple architecture has evolved greatly in the last 2000 years, starting with cave temples, to monolithic rock-cut temples and freestanding structural temples made of stone. 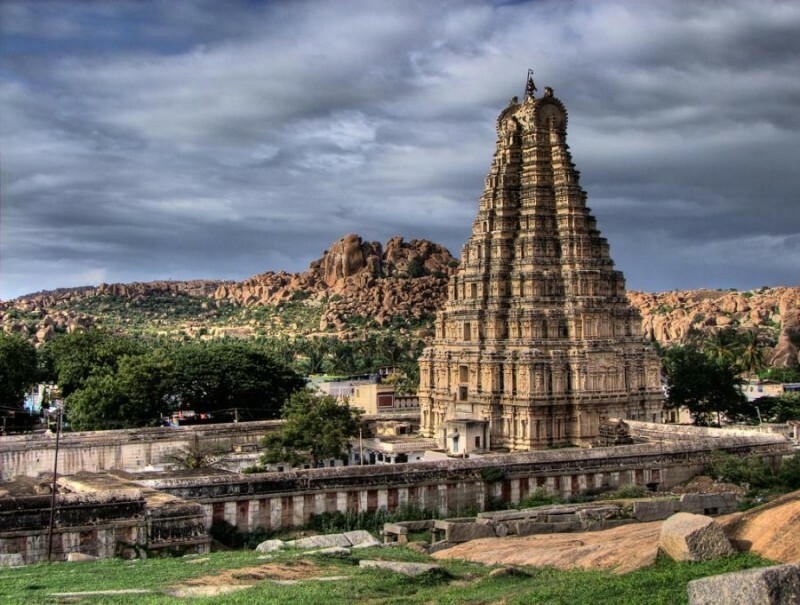 Believed to functioning uninterruptedly ever since its inception in the 7th century AD, Virupaksha temple is the oldest and the principal temple in Hampi. The temple is dedicated to Lord Shiva, known here as Virupaksha, as the consort of the local goddess Pampa who is associated with the Tungabhadra River. Temple is noted for its architecture and has been listed among the UNESCO World Heritage Sites. This magnificent structure consists of a layered tower of elaborate, hand-carved friezes populated by a bevy of Hindu deities and symbols. Sri Ranganathaswamy Temple is one of the most illustrious Vaishnav temples in the country, dedicated to Hindu God Vishnu. Constructed in the Dravidian style of architecture, the Temple Complex is massive in scale and spread over 156 acres (63.131 hectares). 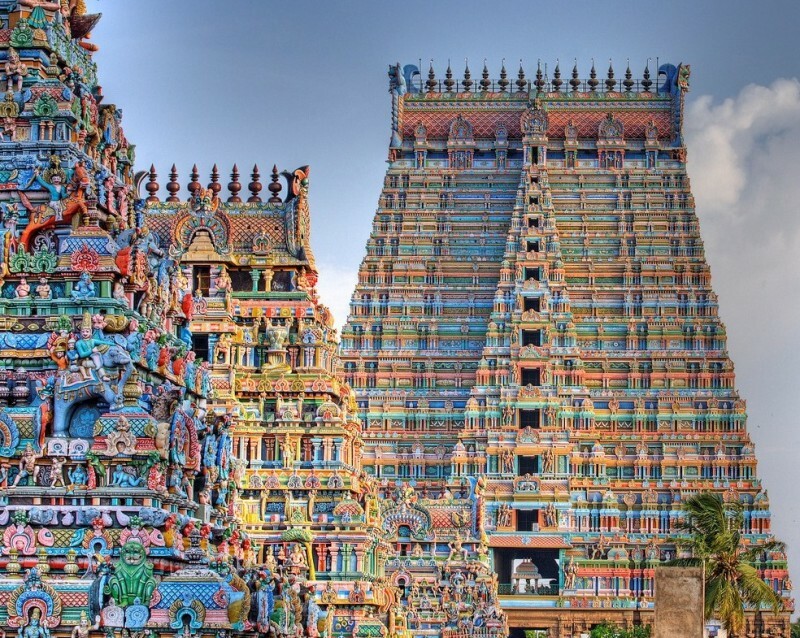 According to some scholars, this makes Sri Ranganathaswamy Temple the largest Functioning Temple in the World and is often found ranked amongst the largest religious complexes of the world. 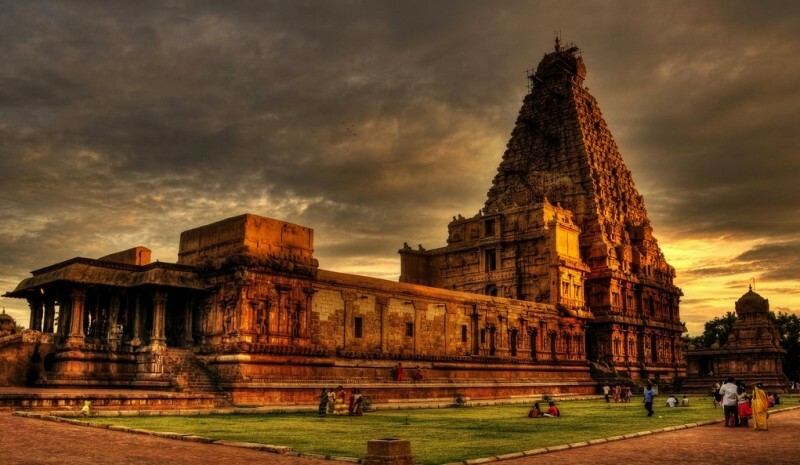 The Brihadisvara temple at Tanjavur marks the greatest achievement of the Chola architects. Known in the inscriptions as Dakshina Meru, the construction of this temple was inaugurated by the Chola King, Rajaraja I (985-1012 CE). The temple is part of the UNESCO World Heritage Site known as the “Great Living Chola Temples”. 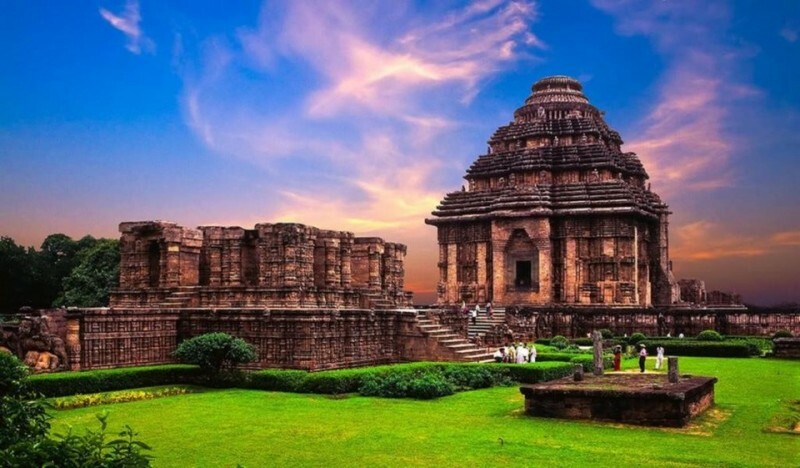 On the shores of the Bay of Bengal, bathed in the rays of the rising sun, the temple at Konarak is a monumental representation of the sun god Surya’s chariot. The temple looks like a chariot which stands on 24 wheels, pulled by 7 horses. 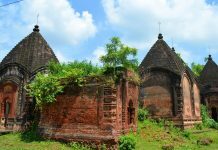 Often referred to as the Black Pagoda, the temple was built in 13th Century and is famous for Kalinga style of architecture. Due to its beauty & attraction it features in the Seven Wonders of India. 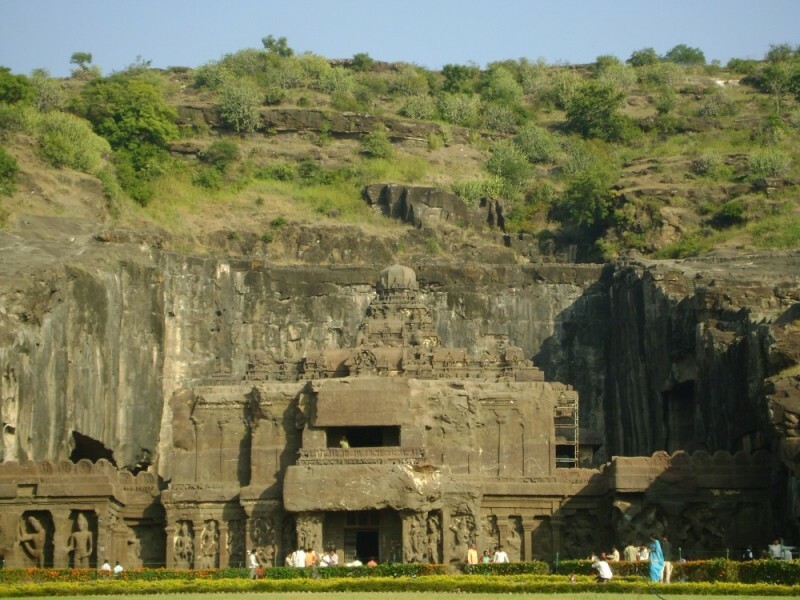 Kailasa Temple is the world’s largest monolithic structure carved out of one single rock. 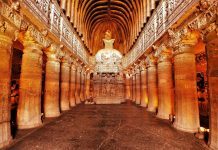 Considered as one of the most astonishing ‘buildings’ in the history of architecture, Kailasa Temple measures about 60 feet tall and 200 feet wide. The Temple dedicated to Hindu Lord Shiva and it was built in 8th century by the Rashtrakuta king Krishna I. It is estimated that about 400,000 tons of rocks were scooped out over a period of 20 years to construct this monolithic structure. If one of these beautiful temples were found anywhere else in the world it would be described by the west as the eighth wonder of the world. In my opinion India by itself is the First and only REAL WONDER OF THE WORLD. Some cave temples should be included. Come to Bengaluru to Gavi Gangadeshwara temple is a beautiful cave and the praharam is also a cave. It has daily puja schedule. Probably one sand-dune should be included Near Bengaluru at Thalkad – beautiful temples dug out of sand-dunes. One of the temples has daily puja. If one wants to include a modern one, it is ISKCON at Bengaluru. 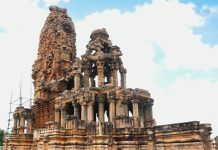 Nice collection & very useful information blog … & Hampi is so beautifull part of India. Akshardham is very very beautiful. do u know about Hindu Religious Places In India? 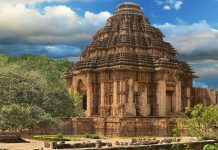 http://travel-blog.waytoindia.com/famous-hindu-religious-places-in-india/ this link is also very informtive for India. I’ve visited two of these, nice list of temples.